Venue Address: 655 West 34th Street, New York, U.S.A. 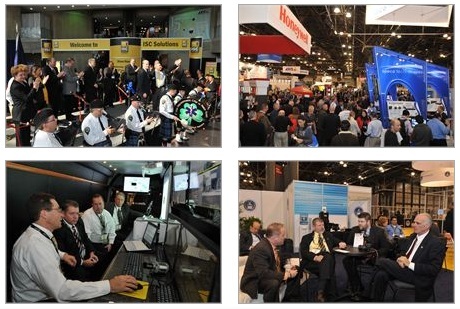 The exhibition, to be held November 19-20, 2014, at the Javits Center will feature over 300 exhibitors showcasing new products, technologies and services to a wide range of security professionals. For dealers, installers, integrators, and specifiers, the Event will focus on retro-fitting and updating to increase profits. For end users, achieving business optimization is the main theme. Both concepts will be supported by key exhibitors and free high quality education. A New Product Center will spotlight new technologies and products on the security industry’s cutting-edge. ISC East Mobile for smart phones will make the ISC East show floor one of the easiest to navigate. ISC East Mobile features educational sessions, special events, show floor locations and an online exhibitor directory and interactive map. Seeking product interoperability case studies in various industry segments. Looking for new products, tools/supplies, wire/cable, or even new distributors.